← Dinky 287, Ford transit Police Accident unit. 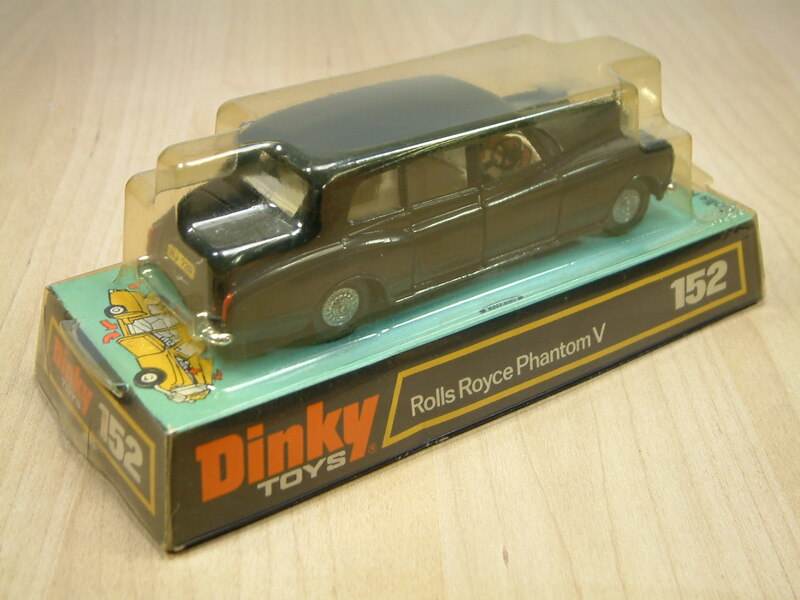 This is a Dinky No 152, Rolls Royce Phantom V limousine. 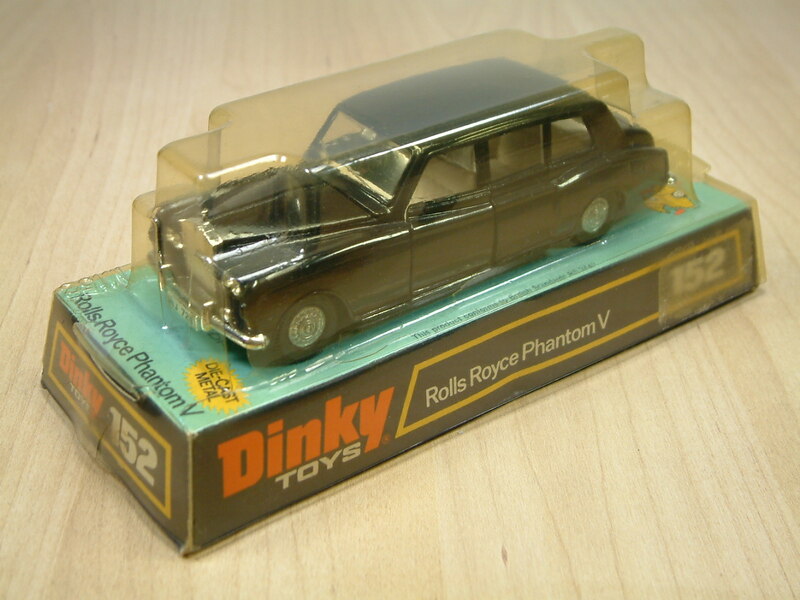 This model had a relatively long run , with later versions missing passengers and jewelled headlights and opening bonnet, as Dinky sought to cut costs. The version pictured is a mid way version, missing it’s passengers but still with the other more expensive features. It is also in later blister packaging. 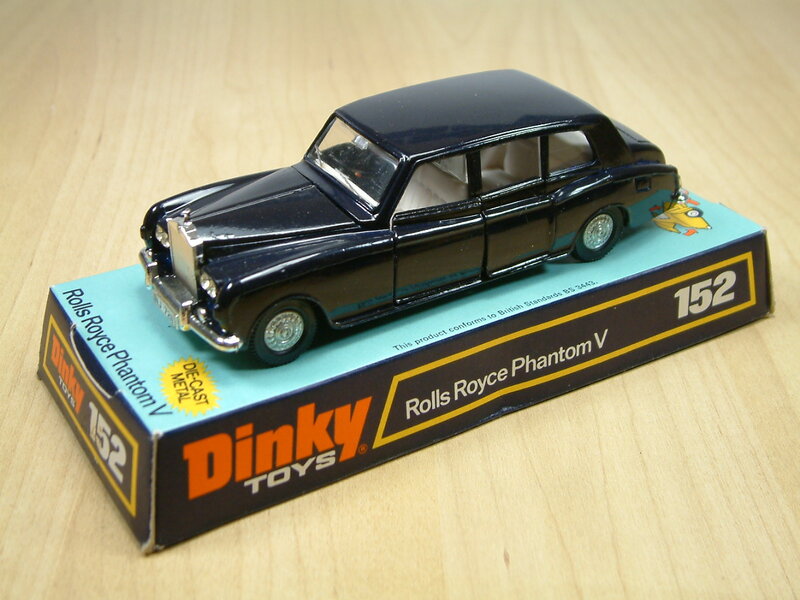 The model was produced between 1966 and 1976. 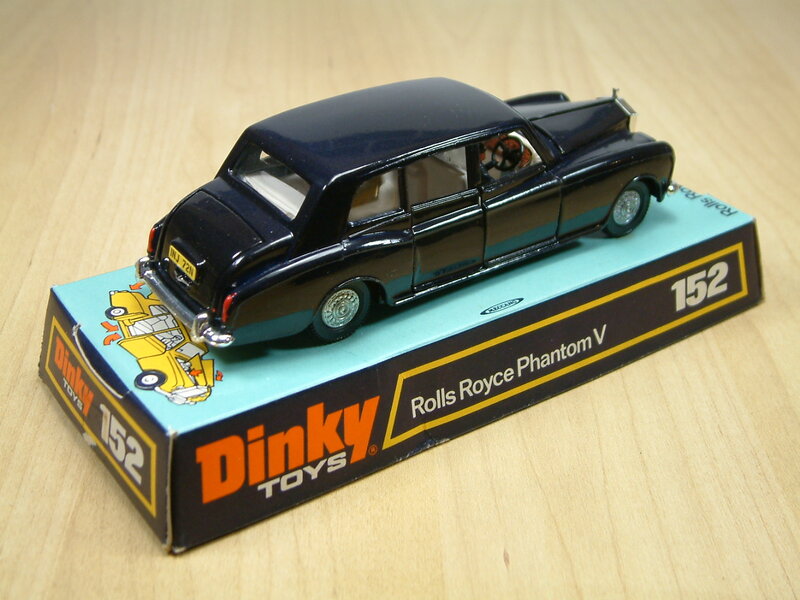 This entry was posted in Cars and tagged Dinky, Limousine, Luxury, Phantom, Rolls Royce, Silver Lady.. Bookmark the permalink.